“I’m originally a down-south boy. Came from Bunbury. Where I lived was aligned with Swans, so for my junior career I played down there. I got the opportunity to play 15s and 16s development squad footy at Swans. That was good exposure - to get to know some guys around the club and some of the coaches. 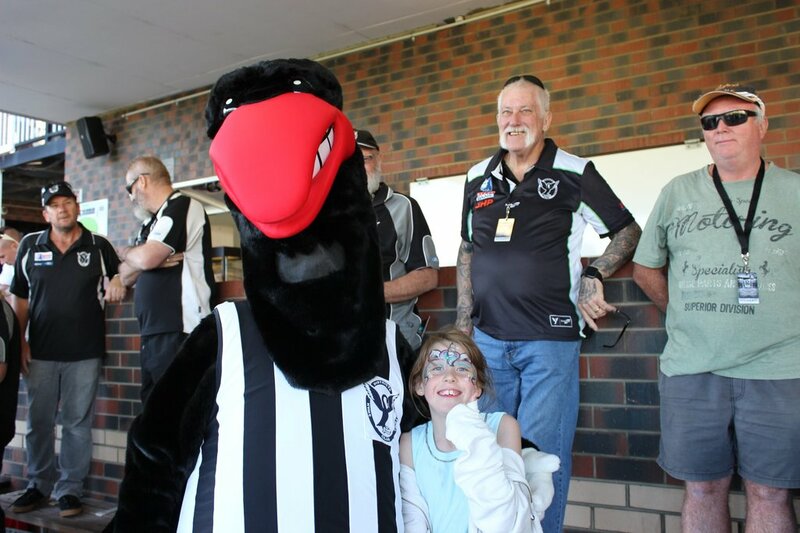 I moved schools to Guildford Grammar, played school footy there and still stayed connected with the Colts program here [at the Swan Districts Football Club]. My first year out of school I came straight here into Colts and played a bit of Ressies (Reserves) and League. It’s good fun. I always watched a lot of footy growing up. Dad’s always been a massive footy fan. It’s always been big in the family. I’m a mad St Kilda fan, Nick Riewoldt, Lenny Hayes, Robert Harvey … all those St Kilda players were idols for sure. Nick Riewoldt was the type of player I wanted to turn out like. He was a big, strong centre half-forward. Good leader, captain of the club. Lenny Hayes was a brave inside midfielder that everyone looked up to. Same with Robert Harvey, a couple of Brownlow medals and an absolute star player. They were my three role models. Selection for the 2018 State combine was a massive thing for me. I’ve never done any state programs so to get that acknowledgement to go to a combine was really good. It was good exposure, good fun. I was one of the few mature guys to get accepted so that was exciting. The recent media attention has been a new thing for me. Growing up I wasn’t really a stand-out so the attention wasn’t there but it was nice to have a bit more this year. I’m not complaining at all. I don’t mind it. I love it in a way. Getting into the AFL … we’ll see. I think I could handle the pressure because my mum and dad are always supporting me in everything I do. Mum’s always cooking, and dad comes to watch every game. I’m not feeling too pressured at the moment. There’s always rumours and talk going on, but I don’t get caught up in it and take it day by day to use the old cliché. I’ve been through it for a couple of years now and haven’t been drafted so there’s no real pressure. It’s all good. 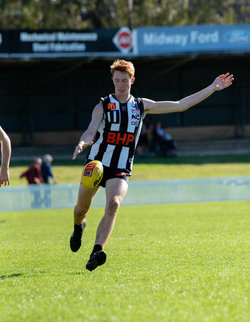 Drafted to St Kilda - that’s the dream! Making my debut in the League last year has been my career highlight so far. It was a massive achievement to break into the senior side when I did at the end of the year. Not only was it really good for me at the time, to play a bit of finals footy really helped coming into last season. Having that little bit of exposure helped me to get my confidence up for last year so I could have the year that I had. Tony Notte was one of the guys I was drawn to most when I first got to the club. I was always the skinny kid. His nickname is Spaghetti so he’s obviously a bit skinny as well, but he spoke to me on a level I was able to understand and we got along with each other really well. He’s also an absolute gun footballer so he’s probably our most valuable player. I live and breathe footy but it gets hard at times. It’s a grind. There are times where you think ‘why am I doing this? why am I pursuing this?’ you get your head down sometimes but it’s really good to have great family and great mates that you play with – all of us last year were really tight bonded as a team. That’s probably something people don’t see on the outside looking in - how good mates we are. I’m a uni student so I can accommodate my hours around footy and work a little bit part-time. I know some of the other boys work all day, 8 till 4 and then have to come to training and it can be a grind for them and you can see that. That’s where friends and the support of the club help us through it. At the end of the day, they’re playing here because they love the club, they love the guys that are playing here. 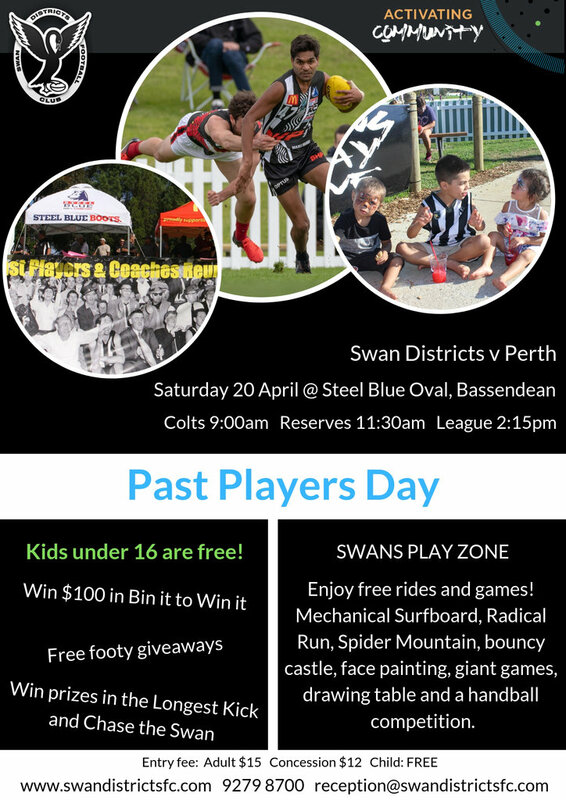 The Swans are really committed to building community and developing people and encourage players to do the same. There are always Auskick camps going on and we always make an effort to go down there and teach the kids how to handball and kick and make an effort to get them involved in footy in the Bassendean area. There was a camp out day here [at Steel Blue Oval] a little bit before the Combine. It was good to catch up with the local kids, see dads that are so involved, the families that love footy, the whole aspect of community. It was good to see. I want to have a long career at an AFL club no matter where it is. Just getting to an AFL club would be the dream - cementing myself there and making new friends … and then ultimately coming back to Swans at the end of it”. “Being a member of Swans is everything. They’ve provided me with a football career and mates that I’ll know for the rest of my life. They supported me when I was younger, growing up. I might have been down at times because of my size but they always gave me a chance.